When it comes to rolling out your mat for your yoga practice, have you given much thought to the impact your surroundings can have on the quality of your practice? If it’s not something you’ve given much headspace, it’s time to gently open your eyes and discover how the humble houseplant can improve the quality of your home yoga practice and your overall wellbeing by adding a touch of biophilia. The word biophilia originates from the Greek, ‘philia’ meaning ‘love of’. It literally means a love of life or living things. Humans have a deeply engrained love of nature which is an intuitive and natural drive imprinted into our DNA. In the past few years this term has become especially common amongst architects and designers that are focusing on biophilic elements to add calming and relaxing touches to our indoor spaces. In today’s world this is becoming even more important as we seek an escape from the constant buzz of being switched on 24/7. Biophilic design incorporates natural elements, maximising daylight, views of nature, natural materials and natural features such as indoor planting and water features. It’s easy to add some of these elements to your practice space and chances are you already have started doing this without realising it. Research has shown that when asked to think of a place that is relaxing and calming, 90% of us would imagine ourselves in natural surroundings, outdoors. Being in nature gives us fresh air and makes us feel good. Our physical and mental wellbeing depends on the amount of time spent in a natural environment. 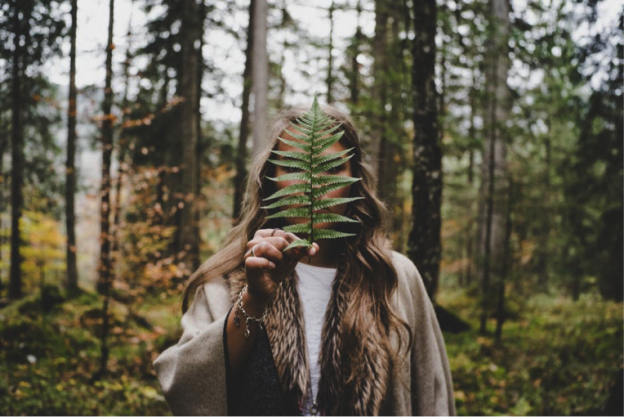 According to a recent report “people exposed to natural surroundings are more energised, feel less stressed and have improved attention spans” (Human Spaces). Add a variety of houseplants in beautiful nature-inspired pots or baskets. Allow natural light where possible. Avoid harsh, bright lights. Review your view. Situate your mat so that your dristi is pleasing. Avoid placing the mat where you can see piles of work needing to be done. Incorporate natural materials around you – greenery, raw wood, stones, a water feature, fabrics made of natural fibres – anything at all that brings you joy. Open a door or window to circulate fresh air if weather permits, even if only for a few moments before you practice. Of the options above, adding plants is one of the easiest and most rewarding ways to add biophilic elements to your yoga practice. After all, plants are living, breathing organisms and require your nurturing touch to thrive – just like you and your yoga practice. 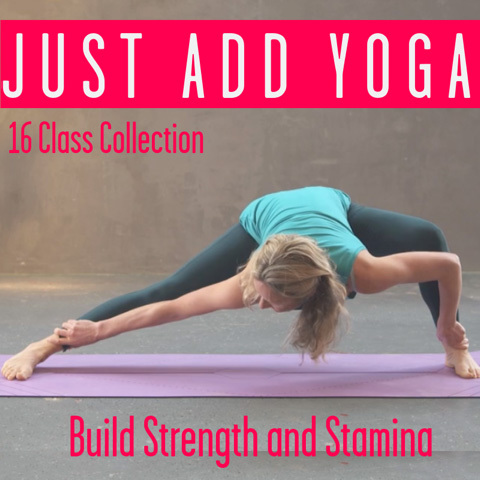 Plants can be hugely beneficial during yoga practice as the synergy between the plant’s release of oxygen and our release of carbon dioxide creates a mutual harmony between two living species. It also improves the overall quality of the air we breathe by removing toxins (called VOCs) from the air. As we inhale cleaner air, plants thrive from deep exhales and our release of carbon dioxide. 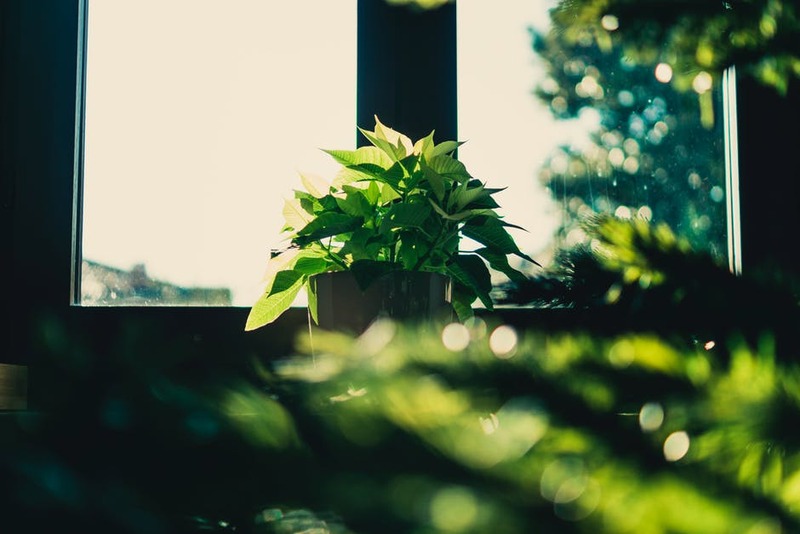 According to research conducted by NASA, it is recommended that at least one plant per 100 square feet is all it takes for efficient air-cleaning. Research also shows that houseplants help reduce stress and can make you more creative and more productive by improving focus – all big bonuses off the mat. Additionally, plants help boost immunity and have been shown to help fight cold-related illnesses by increasing humidity and reducing dust & allergens. Further research shows that plants can help lower heart rate, reduce blood pressure, reduce fatigue and reduce symptoms of anxiety and depression. Wow. Spider Plant – these resilient plants grow quickly and look great in hanging baskets or perched on a stand. 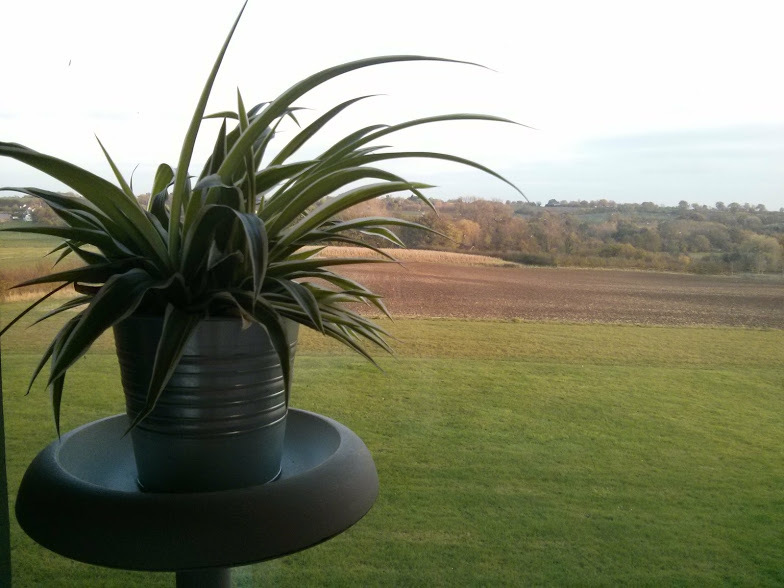 The Spider Plant (aka: Chlorophytum) is an excellent air-purifier. Ferns – particularly the Boston Fern. Place ferns in the most humid area possible as they love the moisture. Ferns create a lush, tropical feel and are great for removing toxins from the air. This plant will require more TLC than the others on this list as it loves moisture. Succulents – any variety, these look fantastic in terrariums and they are incredibly robust as they require little watering. The perfect plant for those who don’t have green fingers. Also a great option for those who wish to get creative with planting displays. Peace Lily – this plant produces lovely blooms and is a great alternative to cut flowers. Hailed by NASA as one of the top 3 plants for removing household toxins, including mould. Be careful though, the Peace Lily can be toxic to pets (and humans) so place this one out of reach to enjoy. Ivy – really well adapted to growing indoors, some varieties prefer indirect light and others direct light, so choose a variety that suits your space (I like English Ivy). Looks particularly good in hanging baskets or on top of shelves to add lush, dramatic greenery. Ivy is also works to cleanse impurities from the air and grows quickly. 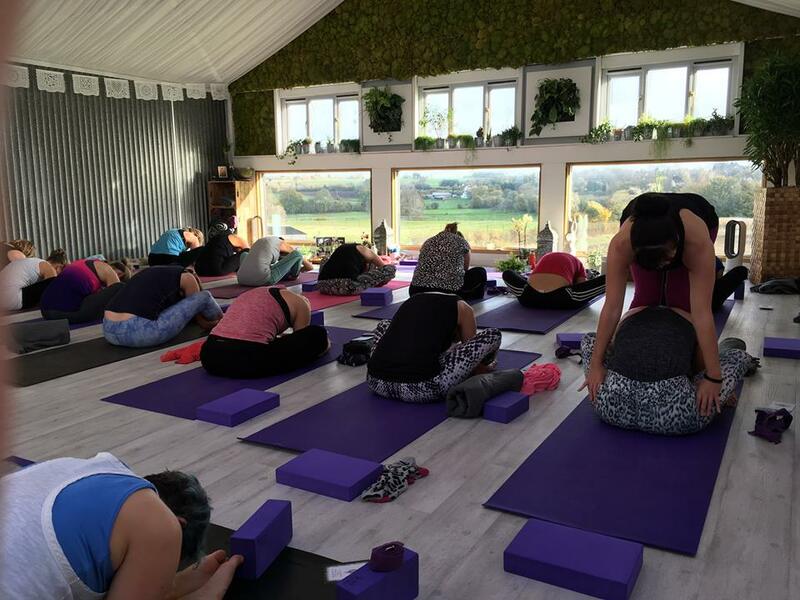 Casey is the founder of Thaxted Yoga, a rural yoga studio near Stansted airport with stunning views over the Essex countryside and recently featured in OM Yoga Magazine’s Amazing Spaces. Her use of biophilic design elements in the creation of Thaxted Yoga studio includes a wide variety of potted plants, a moss wall, living picture frames (with plants), expansive views of nature and loads of natural light. These natural elements work together to make the space a real retreat. The simple practice of lighting a candle every time I want to practice at home helps me as well .